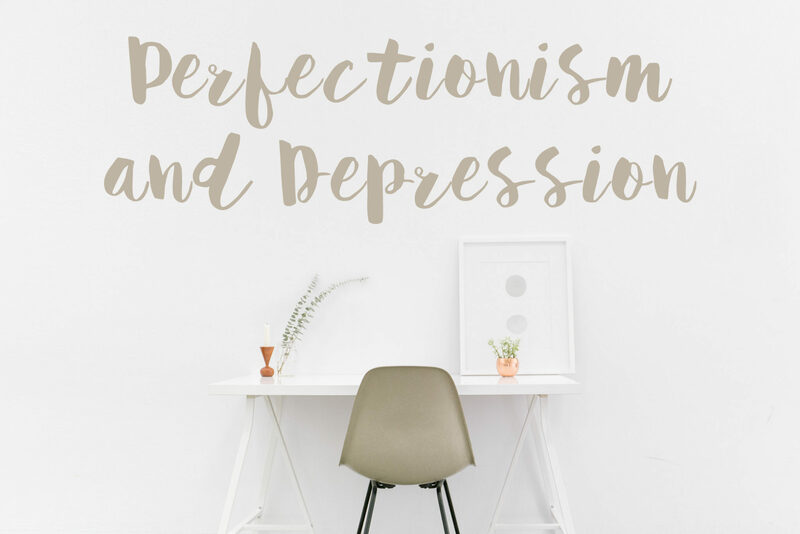 Many of us who struggle with depression also have problems with perfectionism. Our depression constantly tells us that we aren’t good enough: that we should be trying harder, doing better. It tells us that we have to be perfect in every part of our lives – and when we’re not, we’re failing. But the truth is, we don’t need to be perfect in any part of our lives. We don’t even need to aim for perfection. Here’s why. Nobody is perfect – everyone makes mistakes. Chasing perfection is exhausting, draining, and futile. Making mistakes is part of being human, and perfection is a myth. Nobody can ask us to do more than our best, and ‘our best’ looks different for everyone. Depression can make us shift our goalposts . Previously, our best might have been getting promotions at work, or getting straight A’s in our studies; right now, our best might be just showing up, or even moving from our bed to the lounge. Only we know if we’re doing our best, and our best is good enough. Depression makes even the most simple day-to-day tasks a challenge. Therefore when we’re ill our dreams and goals can feel very far away. We should never give up our dreams, but we do need to be realistic with our expectations of ourselves. We need to focus on what we can do right now, and accept that the rest will wait for later. One day we will be in better shape to tackle them. It’s also important to check in with our goals and expectations. Are they truly right for us? Do we really want to achieve them – or have we set ourselves arbitrary targets because we think we ‘should’? Are we trying to fulfil other people’s expectations of us rather than aligning with our own? Depression can completely knock us off our feet. It can take the enjoyment out of the things we love, so we give up on our hobbies. Sometimes we might be unable to work or study, too. Returning to jobs or old hobbies after a period of depression isn’t easy – we might not have done them for weeks, months or even years, so we won’t be coming back to them at the same standard. That’s okay. Anyone who hasn’t done something for a while will be out of practice, and when depression is clouding everything it can make returning even harder. We need to be patient with ourselves, and practice self-compassion. It will take time to get back to where we were. Not everything we do has to be for a reason, or an end result, and we don’t have to be good at everything we do. We can do things just for the experience: to amuse ourselves, to try something new, or to get out of the house. Having fun and doing things we enjoy is vital for our mental health. Every day, we wake up and continue to try our best at managing life alongside depression. Be kind to yourself. You’re doing your best and that’s good enough. You’re perfect as you are.